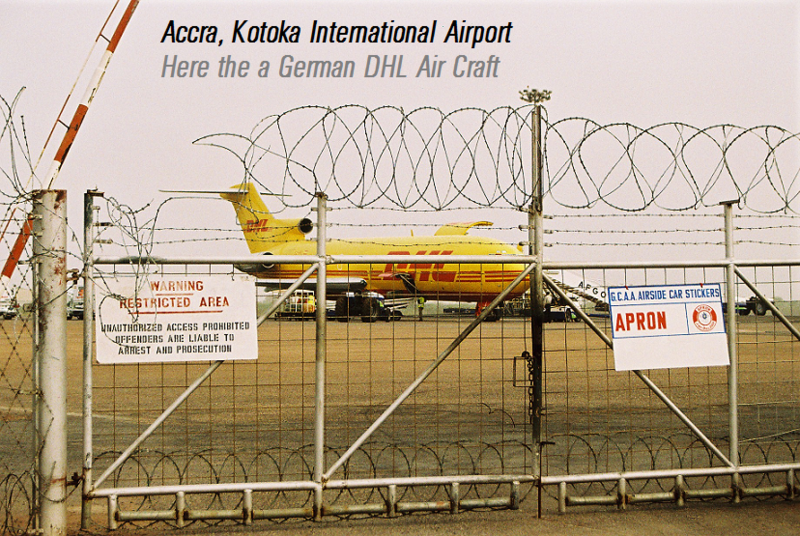 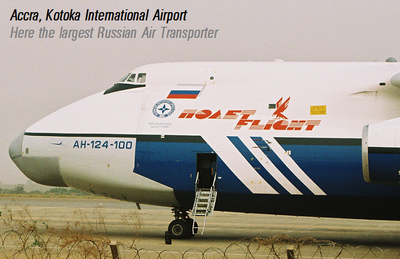 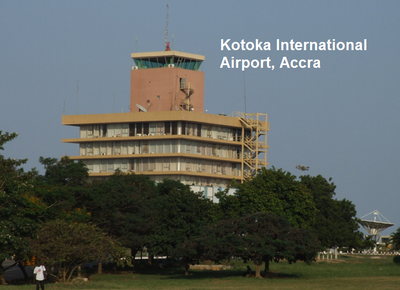 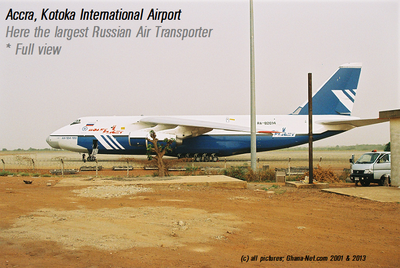 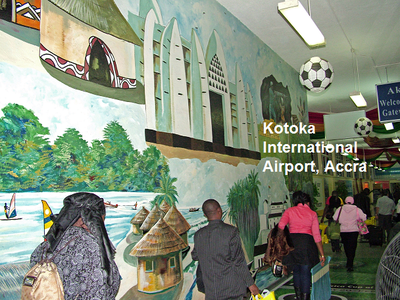 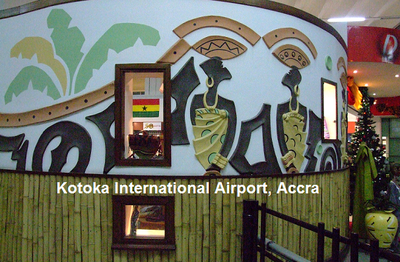 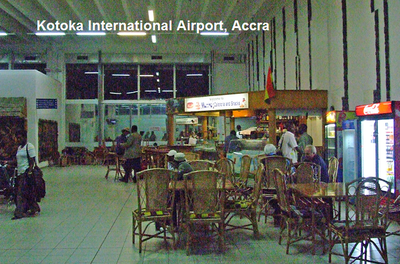 West Africa`s - Ghana`s Kotoka International Airport (IATA: ACC, ICAO: DGAA) in Accra, is Ghana's premier international airport and has the capacity for large aircraft such as the Boeing 747-8. 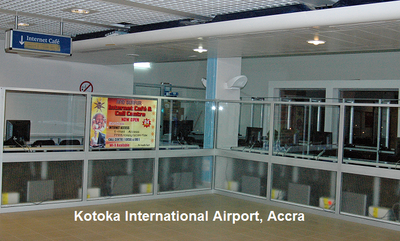 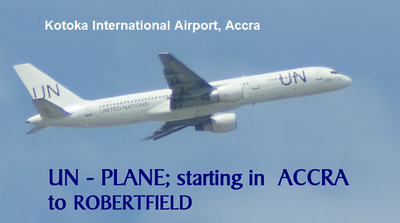 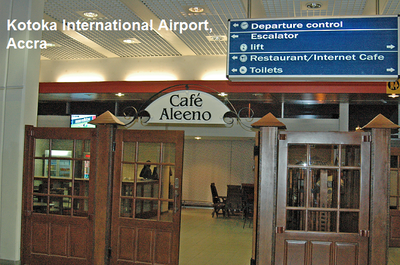 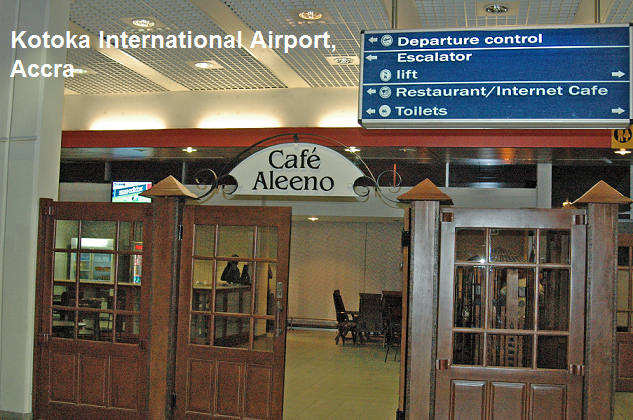 The airport is operated by Ghana Airports Company Limited (GACL), which has its offices on the airport property. 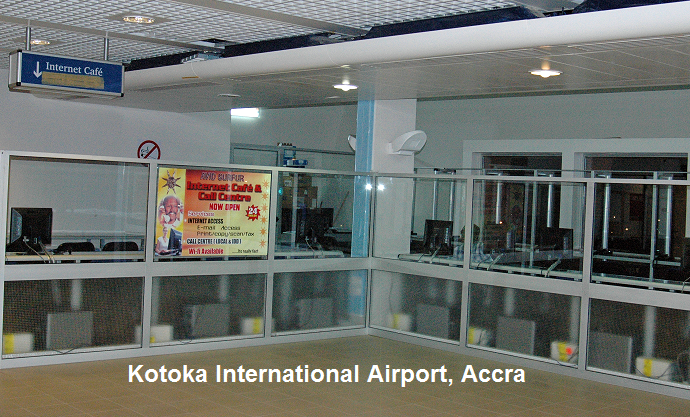 GACL was established as a result of the decoupling of the existing Ghana Civil Aviation Authority (GCAA) in line with the modern trends in the aviation industry. Accra International Airport page Has MOVED to GhanaFlights.info - Please Read Here MORE (Included actual Departure & Arrival Times Updated! The executives of Local airline Starbow has announced to operate in Sunyani of Brong Ahafo Region, which will begin a 4x weekly Sunyani - Accra on 10th July 2015. 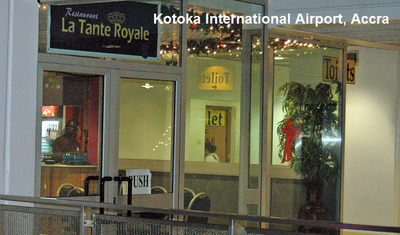 Passengers arriving at the Kotoka International Airport from abroad, usually late in the evening, can now connect a flight to Kumasi to be with their families the same day. Business travellers can now fly into Accra from Kumasi, spend the whole day transacting their business, and fly back to Kumasi as late as 10 pm. 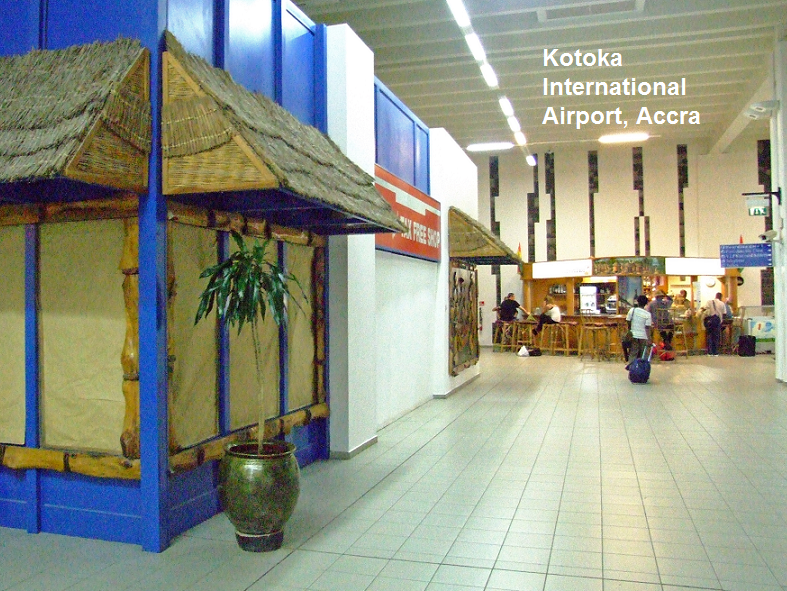 Ghana boasts some lovely beaches, especially on the Western coast. 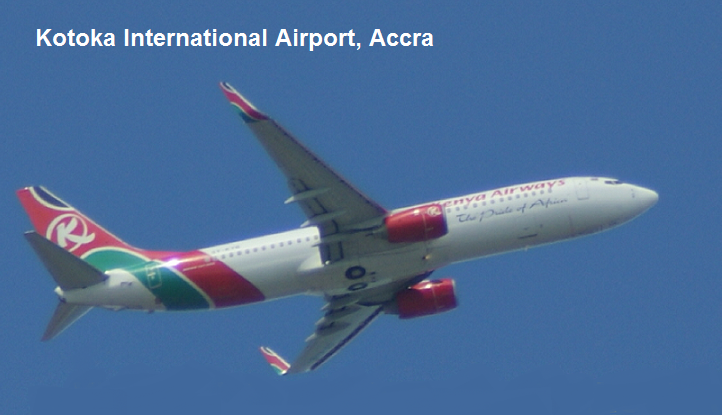 While it is hot year round, the best time to visit the beach is from October through April, there is slightly less humidity during this time of year and less mosquitoes. 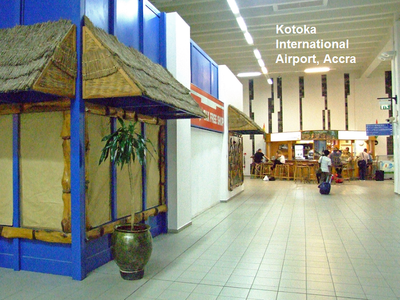 Make sure that you are mosquitoprotected at anytime of year to avoid getting malaria. 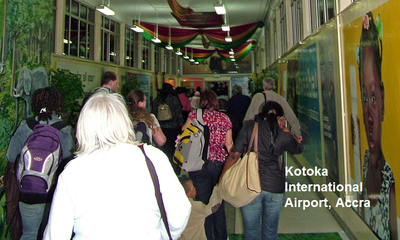 Always be careful of rip tides when swimming, Ghana's coast is notorious for them.